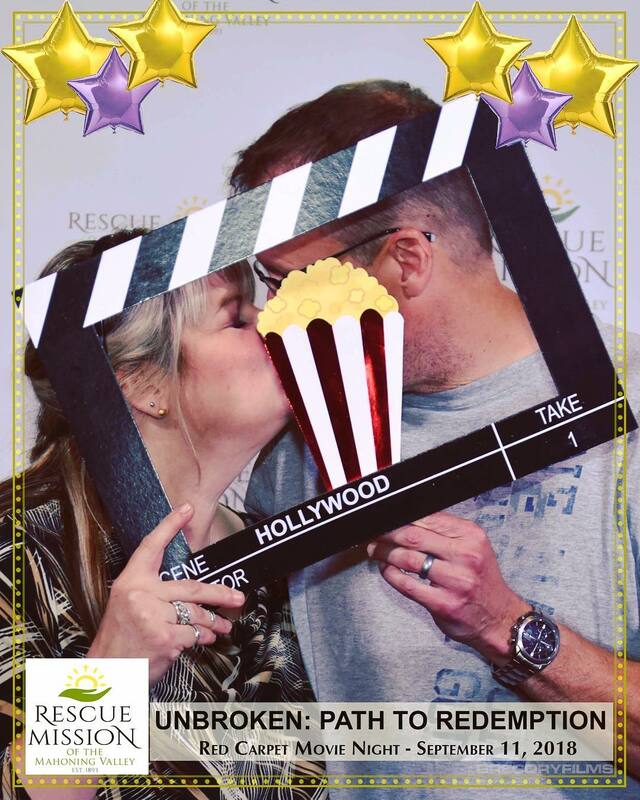 On the red carpet for the premier of Unbroken: Path to Redemption. Very cool! Today is the day. It matters to whom or what you bend your knee to. Louis and Cynthia Zamperini had a whirlwind romance. Could their marriage withstand the aftereffects that Lou was dealing with from the war? See the rest of this amazing true-life story when Unbroken: Path To Redemption opens in theaters Sept. 14. It was love at first sight for Louie and Cynthia. See how it played out in Unbroken: Path To Redemption. See in select theaters tonight and theaters everywhere tomorrow! Pray that God will use this story of redemption, hope and forgiveness to touch hurting hearts. Get your tickets today at . 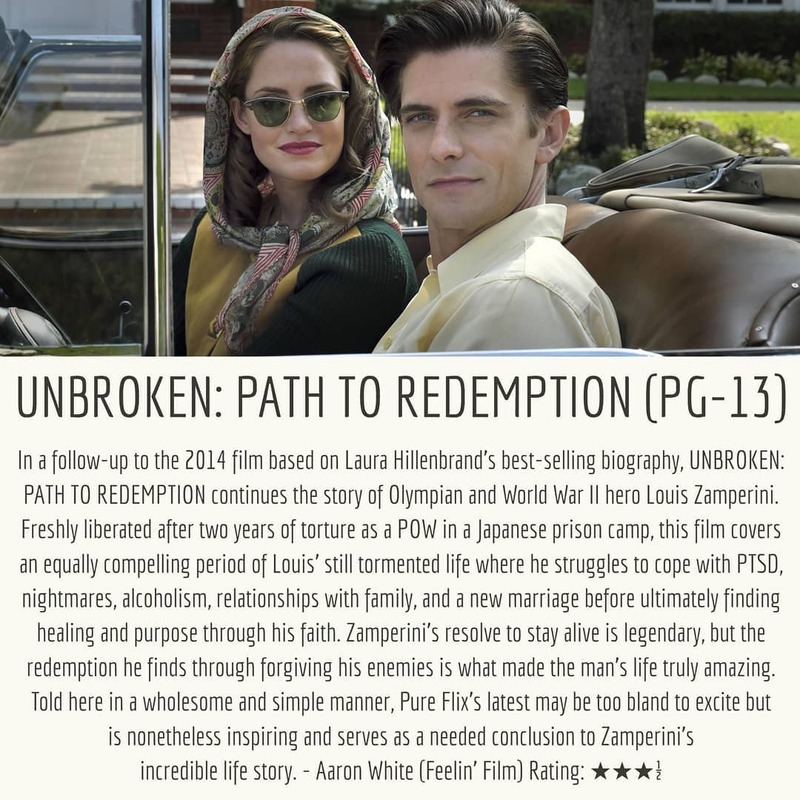 “Unbroken: Path To Redemption is a tremendous film!” That’s what says about this new movie, now in theaters, that tells how helped point Louis Zamperini to God after the war hero returned home. 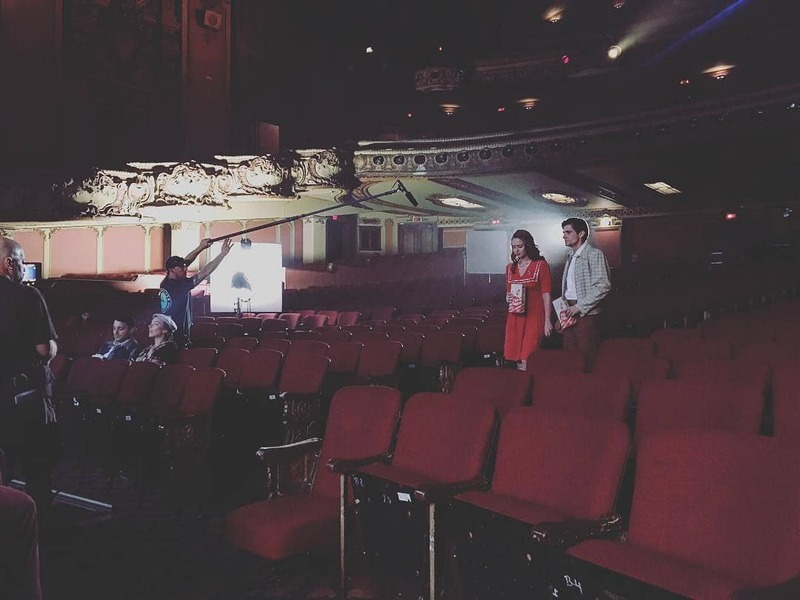 Take a peak behind the scenes of "Unbroken: Path to Redemption" with Billy Graham's grandson, Will Graham. More footage from the movie and information about Mr. Graham's own faith journey is available at . 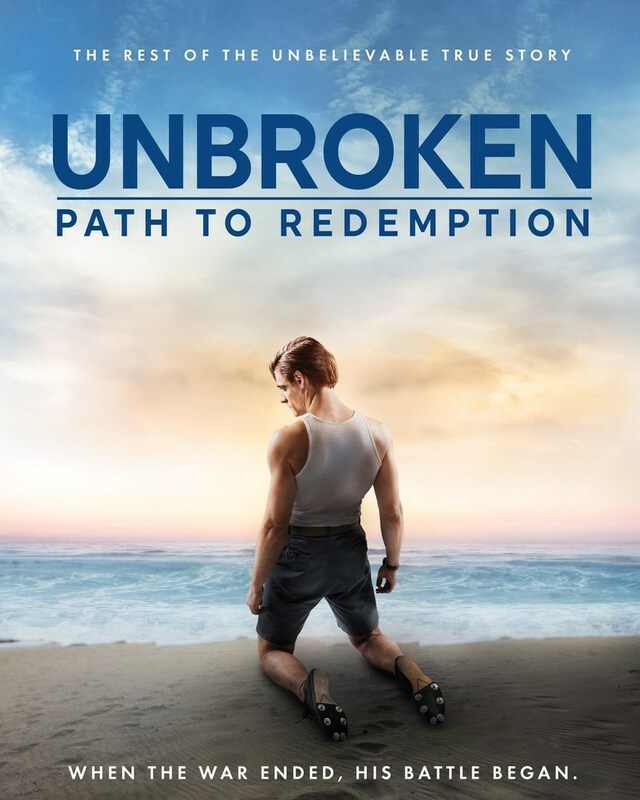 Unbroken: Path To Redemption, releasing in theaters September 14, 2018, is based on the incredible true story of Louis Zamperini, an Olympic runner and WWII soldier and POW. 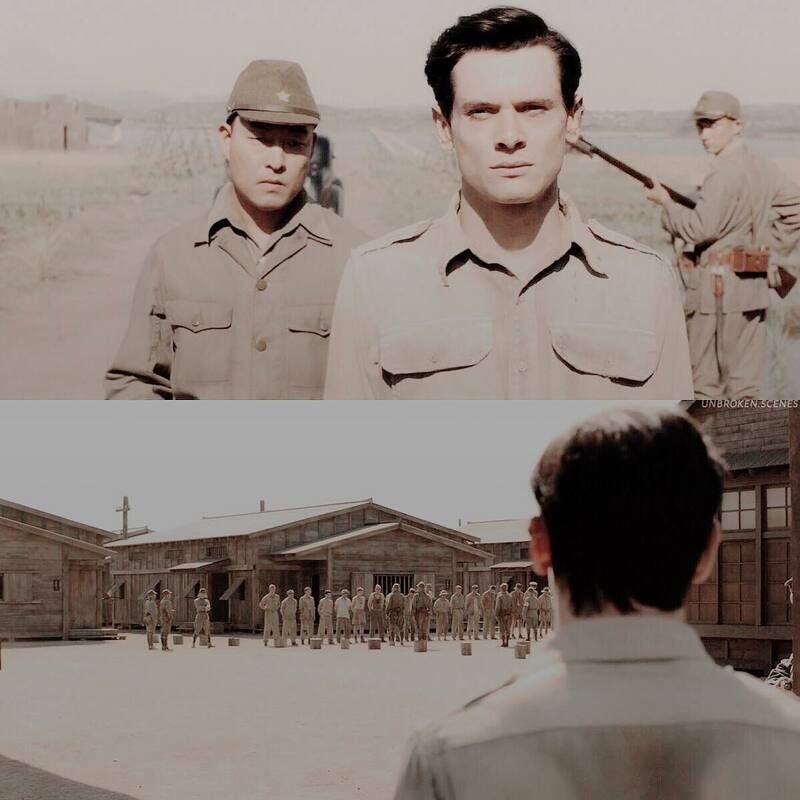 Unbroken: Path to Redemption is in theaters today! The story of how God worked in Louis Zamperini’s life is so powerful—I hope you’ll go and watch it with your family & friends. Beginning where Unbroken (2014) left off, #UnbrokenPathToRedemption shares the next amazing chapter of Olympian and World War II hero Louis Zamperini's story of forgiveness, redemption, and amazing grace. Movie opens Friday the 14th. Showtimes available now on greencountrycinemas.com.